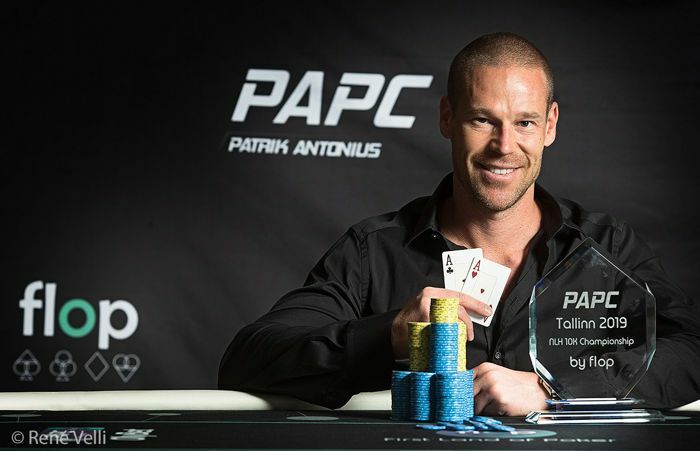 Check out the big pots that highlighted the high-stakes PLO at Patrik Antonius Poker Challenge. The Patrik Antonius Poker Challenge just wrapped up its first event, with live reporting for the tournaments right here on PokerNews. But while the Finnish legend's tournaments drew headlines here, it was the high-stakes cash games that drew plenty of eyeballs to the nascent tour's stream. Cash games, after all, are where Patrik Antonius himself made his name. Pot-limit Omaha in particular was a game in which Antonius played legendarily massive pots online. As part of his PAPC, Antonius set up a €100/€100 PLO game with a €200 big blind ante. Plenty of straddling occurred as well, with a €200 straddle in nearly all of the pots, a €400 double straddle gracing many more and an €800 triple straddle making some appearances. Big pots abounded, to the delight of viewers worldwide. In the aftermath of the action, PokerNews sifted through the full length of the PLO cash session — here's the full video with action beginning around the two-hour mark — to find some of the biggest and best pots played. Here's a look at five worth watching, in chronological order. Click the title for a direct link to the YouTube video. Robert Mizrachi was struggling in the early going, getting bluffed out of some pots and simply running into nutted hands in many others. He got a little of his mojo back by making a big call with a less-than-nutted hand against Eelis Parssinen. The Finnish player was among the most active in the early going, and true to form, when Mizrachi called the straddle of €200 from the small blind with , Parssinen popped it to €700 with from the straddle. Mizrachi found the call button with a hand that was far from the nuts. Mizrachi opted to peel and they saw a flop heads up. Mizrachi check-called €800, bringing a turn that completed his straight but put a possible flush on board that would leave him drawing stone dead. Mizrachi check-called a further €1,700, much to the surprise of the commentators, who mentioned that check-folding would be the standard play in this spot. Nothing changed on the river, and when Mizrachi checked, Parssinen set him in for his last €5,700. The pot now sat at €13,400, giving Mizrachi a decent price on a call. Still, Parssinen had repped the nuts from start to finish and Mizrachi had no blockers. Mizrachi stared at the board with a frown on his face for some time before flicking in some chips. Parssinen revealed the bare ace bluff and Mizrachi dragged the pot worth about €19,000. The undisputed star of the show for most of the session was Antonius himself. The nosebleed veteran played many huge pots and won the majority of them as he ran hot to lap the field in terms of money in play. Antonius was already covering everyone when this pot went down that saw stacks get in against Mizrachi. Four players saw the flop for a three-bet, with Sampo Rynnanen opening for €800 and fellow Fin Joni Jouhkimainen doing the honors on the button after Antonius called. Ryynanen opted to let it go after Mizrachi called in the small blind. More than €12,000 was already in the pot when flopped. 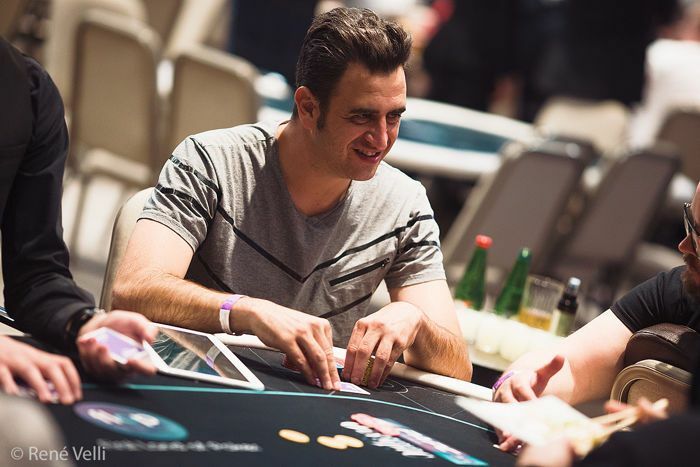 Mizrachi opened the action with an all-in shove for just under the pot and Antonius slid in a stack of chips on a reshove, creating a pot over €35,000. The players opted to run twice, with the and completing the first board — leaving Jouhkimainen missing out on quads. Mizrachi needed to improve on the second board and did so when he rivered a straight on the , but that gave Antonius tens full for a scoop. Antonius had success in more than just tournaments. With Antonius threatening to run away with all of the money, things finally turned a couple of hours into the game with a huge pot against Parssinen. Parssinen made it €1,800 in the small blind with and Antonius called from the straddle with . Jouhkimainen made it three, holding in the double straddle. On the flop, Antonius came out betting with €4,000. 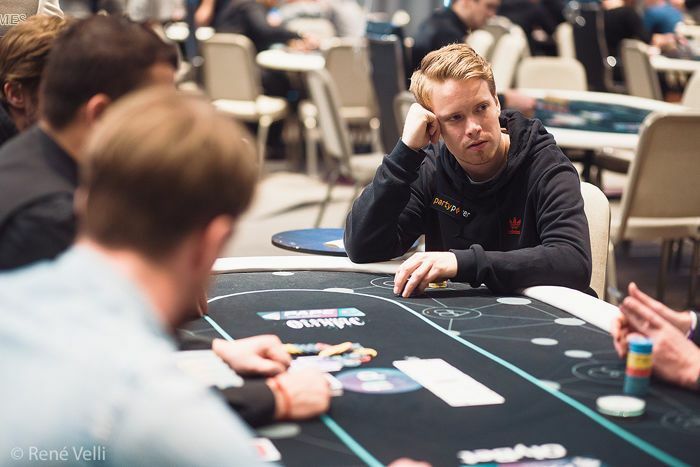 Parssinen slid in a tower of chips after Jouhkimainen folded, Antonius must have responded with an all-in shove off camera, and Parssinen put in his €28,100. Again, the two agreed to run twice. This time, the deck favored Antonius' opponent. An turn left Antonius trailing aces and eights, and a river was a blank. The second run saw Parssinen brick the turn but nail a river for a straight flush and a scoop of the €61,800. Mizrachi showed off his bluff-catching skills early in the session, and he showed later he wasn't afraid to bluff it all off himself as well. Mizrachi opened up action from the cutoff with by raising to €1,200. Ryynanen woke up to in the big blind and repopped to €4,200. He had about €28,000 and Mizrachi covered. Mizrachi stuck around and flopped. Ryynanen continued with €3,500 and Mizrachi stuck around. Ryynanen checked on the turn and Mizrachi seized the opportunity to bet, firing €4,600. That left Ryynanen just under €16,000 on the river. When Ryynanen checked, Mizrachi didn't hesitate to pile in a tower of chips holding nary a blocker. With only kings up, Ryynanen could only muck and move on, continuing a disappointing run in the big game. In another double-straddled pot, three players would see a flop they liked well enough to get their stacks in. Ryynanen got things going with a raise to €1,500 on the button. Small blind Antonius came along, and Jouhkimainen reraised to €6,600 in the big blind. Everyone would connect with the flop, and stacks quickly made their ways to the middle. Jouhkimainen put in his €6,600 on the nut flush draw, Ryynanen stuck in his €11,300 with his gutter, flush draw and pair, and Antonius decided to gamble with the worst equity of the three holding another poor flush draw with a gutter and pair. Jouhkimainen had the best of it on the flop. Three players all in and three turns and rivers would be dealt. A made Ryynanen the favorite on the first run but a river made Antonius the better straight. He grabbed another winning straight on the second run with the turn and river. Jouhkimainen salvaged the third run with and for queens up. He broke about even while Antonius' good luck continued with a profit of more than €18,000.